She may have a song out called Bad Blood, but this pop singer does not have a bad bone in her body. At least not enough to look like a badass gangster. Anyone else think her date looks like Peeta? Oh the 90’s. 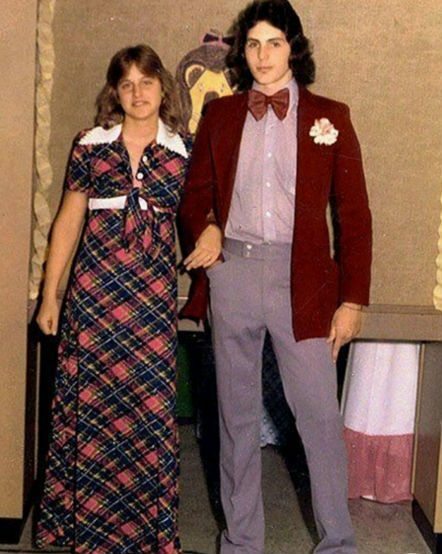 Jimmy’s prom was only 6 years before he debuted on SNL and let’s just say, he probably wished this photo was destroyed before he became famous! 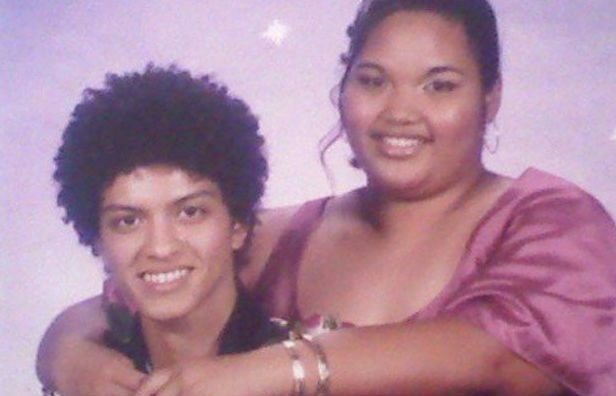 Bruno Mars was always the short kid in his class and when it comes to dating, he is forever the little spoon. I guess their cliché prom photo would have been more embarrassing if Bruno was behind his date because we wouldn’t have been able to see him! Why does this photo look like a fan photo? 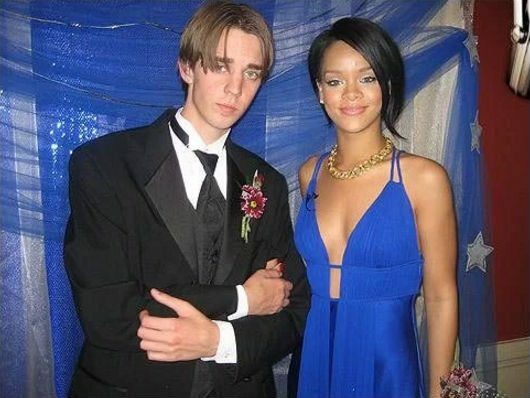 Rihanna looks gorgeous as always (can’t say the same about her date) but I love how she is barely touching him. I would expect nothing else of the comical actor than to be wearing a tiara for his prom photo! Look how young he looks, though! Fergie wouldn’t be caught dead in an outfit like this one now! I guess she was pretty hot in this outfit in the 90’s, though. Cute that her date’s bowtie matches her dress! Aw, what a romantic photo, complete with red roses and a blue cloud backdrop. Not sure what Alba had in mind when she picked out that dress but her date looks so thrilled nonetheless! Our favorite talk show host referred to this photo as one of the low points in her life and I can see why! They both look as miserable as their outfits. The matching hairdo’s are a nice touch, though! 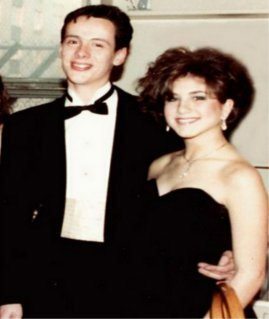 When you’re already famous for starring in a hit 90’s show, you can’t just take a regular guy to your senior prom. 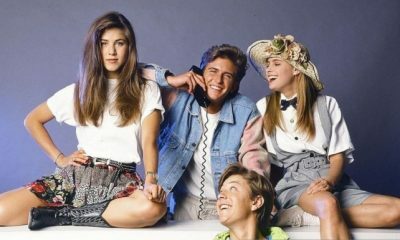 That’s why the Boy Meets World star took N’SYNC’s Lance Bass and clearly the two don’t look comfortable with each other. This was back when Lady Gaga actually dressed like a normal person and she definitely looks cool wearing matching shades with her date. She doesn’t seem to be as happy as her guy, though. Introducing the first lady of the United States…So many questions. This looks like an old royalty picture of a Queen and King. 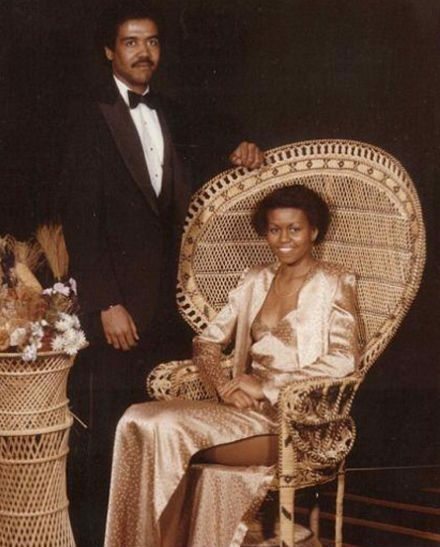 I don’t think she can wear a dress with a leg slit like that anymore…at least not at the White House. I thought that was the kid from Malcolm in the Middle at first. The Disney star was actually with Joe Jonas when her prom came but went with a childhood friend she made a promise with. That just makes the picture cuter! 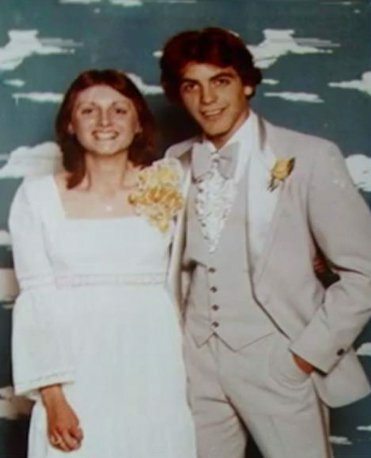 Clooney sure is looking handsome in his 1978 High School Prom! Can we please bring back the gray suit style! When I picture Jennifer Aniston at prom, I think of that episode of Friends when we watch the prom video. She definitely looks a whole lot less embarrassing in this photo! Only she could pull off wearing a black dress to prom! 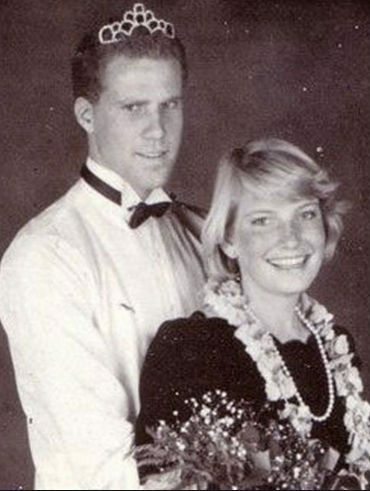 Aw, look how adorable these high school sweethearts are! 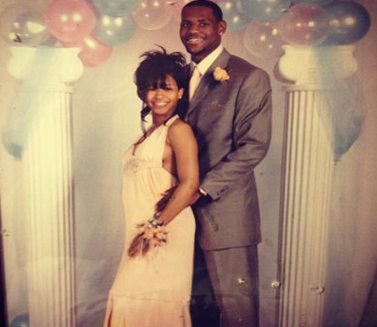 The basketball player took his 5-month pregnant girlfriend and future wife, Savannah Brinson to prom. 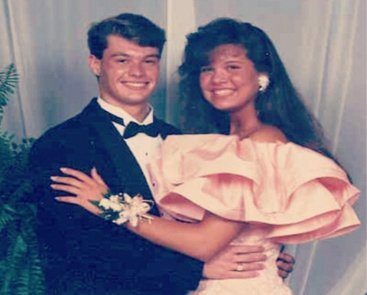 Ryan’s date’s dress sure is…um…poofy. His looks certainly improved with age! The two do look happy with each other, though! 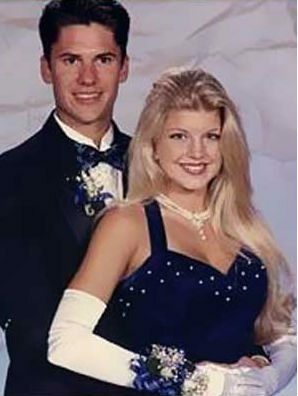 Back at her prom in 2002, the Hollywood beauty still had her signature smile! Her date was the musician Jack Antonoff, who looks like his attention is more captivated by something in the distance rather than at Johansson! Not sure where Britney’s date is (or if she had one) but she looks so pretty in her fiery dress and perfect hairstyle! This was back when the singer was a freshman at a high school in Mississippi! 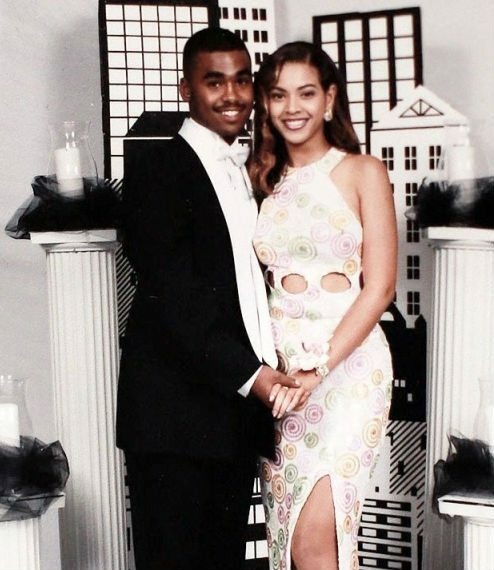 Are these prom photos more embarrassing than your own? SHARE them with your friends and see what they think!